Here it is. In just a few short weeks, one of the largest music festivals of the year will descend upon Savannah, and with it comes a slew of awesome bands and good times. But before things kickoff, this year’s Stopover will feature a special event co-hosted by Stopover and Savannah’s own Graveface Records. 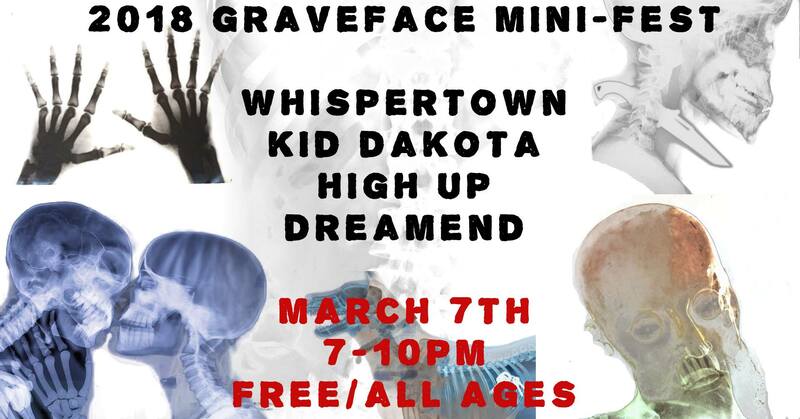 Taking place on Desoto Row, just around the corner from the physical shop, Graveface will be bringing several of their signed artists to town for a free, all ages event in celebration of several upcoming releases as well Stopover’s upcoming festival. Keep reading for bit of info on each band and be sure to keep an eye here for our upcoming coverage on Stopover including tons of info on artists as well as other things to check out during the festival. The musical alias of Minneapolis’s Darren Jackson, Kid Dakota has been recording and producing music for a little under two decades. Touring in support of his fifth album, Denervation, out now on Graveface Records, Kid Dakota runs much in the same vein of 90’s rock acts like Sparklehorse and Elliott Smith. Kid Dakota “Stars” Music Video from Todd Cobery on Vimeo. Hailing from Los Angeles by way of Oregon, Whispertown is the creation of Morgan Nadler. While Nadler’s list of co-writes and appearances boasts some impressive names such as Jenny Lewis, HAIM, and Rilo Kiley, don’t let take away from what Whispertown’s managed to do on it’s own. Fusing a bit of indie rock, country, and folk, Whispertown has become one of the heavy hitters on the west coast when it comes to the modern rock scene. High Up’s fusion of indie and soul brings a modern twist to a classic genre. Hailing from Omaha, NE, High Up features members who have played with the likes of Bright Eyes and The Faint along with the indomitable stage presence and energy of Christine Fink, this set is sure to be a highlight of the weekend. To quote Ryan himself, Dreamend is his “depressing project” which often features “various friends/enemies”. If that’s not a recipe for great music, I don’t know what is. If you enjoy deeply layered guitar work and a bit of surprise (we do know that this set will feature Ryan being accompanied by Kid Dakota, however, not much else), this is the set you don’t want to miss.